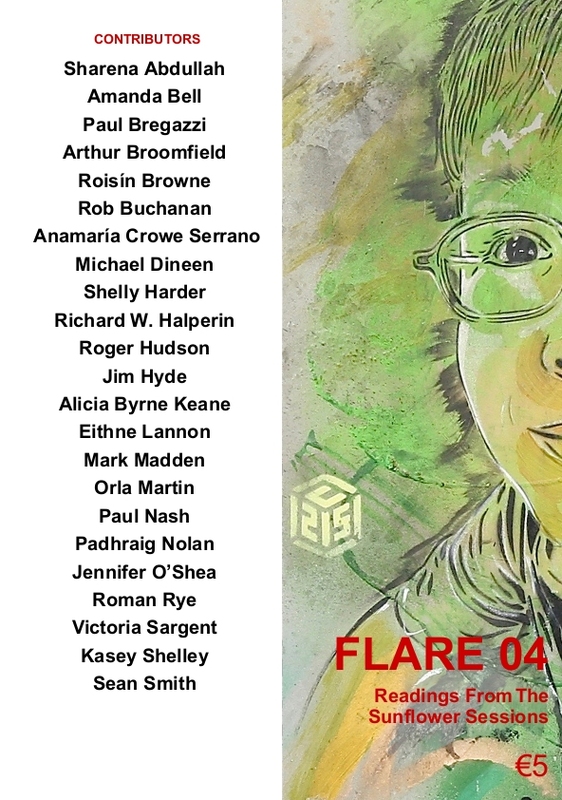 Get FLARE back issues (with post and packaging included in the price). The ‘Ireland’ price applies to the whole island. We will refund via PayPal any savings we make in mailing multiple copies to a single address. See also our Subscriptions and Bundles! 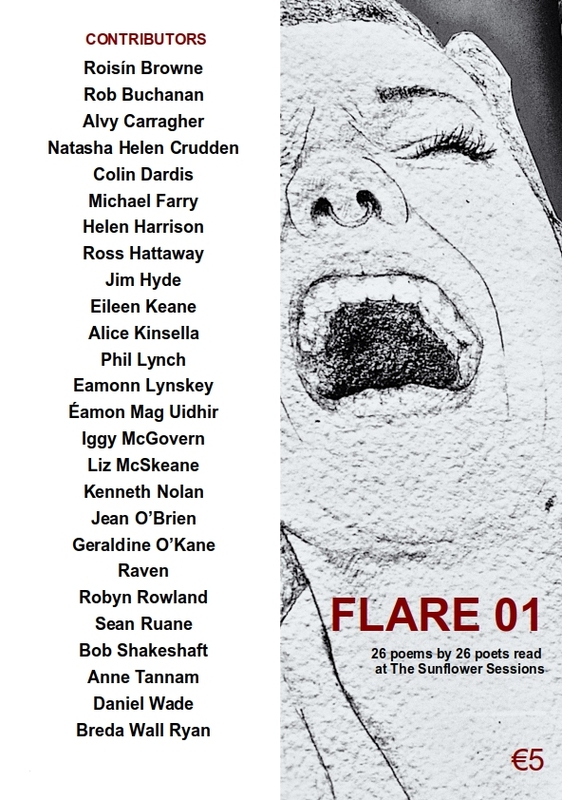 CONTRIBUTORS: Roisin Browne, Rob Buchanan, Alvy Carragher, Natasha Helen Crudden, Colin Dardis, Michael Farry, Helen Harrison, Ross Hattaway, Jim Hyde, Eileen Keane, Alice Kinsella, Phil Lynch, Eamonn Lynskey, Éamon Mag Uidhir, Iggy McGovern, Liz McSkeane, Kenneth Nolan, Jean O'Brien, Geraldine O’Kane, Raven, Robyn Rowland, Sean Ruane, Bob Shakeshaft, Anne Tannam, Daniel Wade, and Breda Wall Ryan. 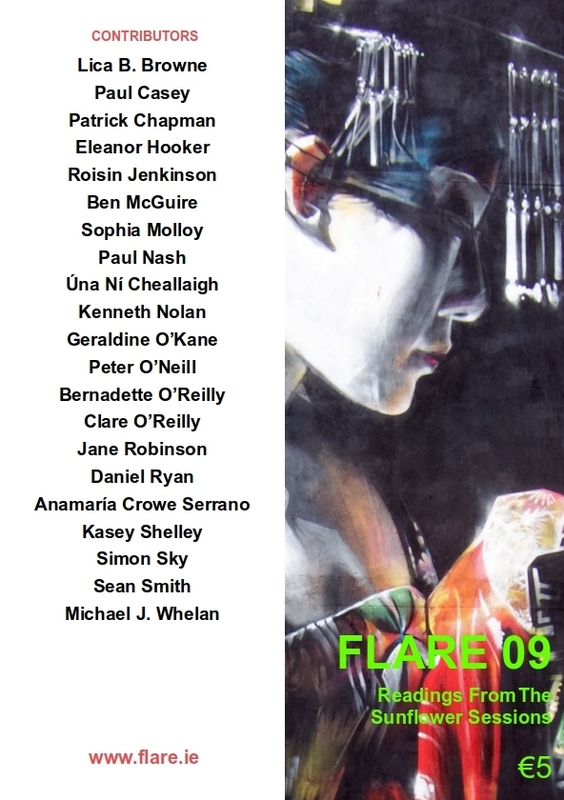 CONTRIBUTORS: Daragh Braddish, Lica B. Browne, Roisin Browne, Rob Buchanan, Alvy Carragher, Martina Carroll, Ruairi Conneelly, Anamaria Crowe Serrano, Natasha Helen Crudden, Catherine Ann Cullen, Colin Dardis, Maurice Devitt, Michael Farry, Helen Harrison, Ross Hattaway, Shane Holohan, Freddie Trevaskis Hoskin, Jim Hyde, Eileen Keane, Alice Kinsella, Phil Lynch, Eamonn Lynskey, Éamon Mag Uidhir, Iggy McGovern, Liz McSkeane, Kenneth Nolan, Jean O'Brien, Geraldine O’Kane, Sean Ruane, Bob Shakeshaft, Anne Tannam, Daniel Wade, and Breda Wall Ryan. 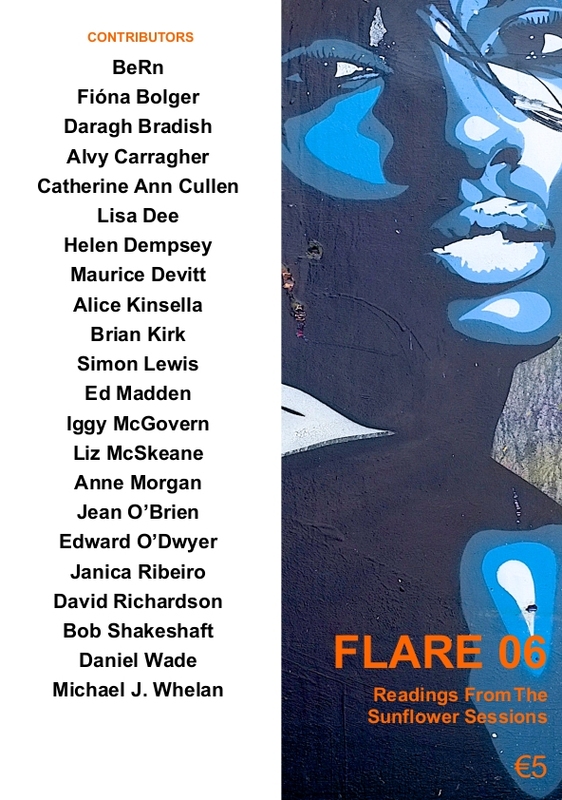 CONTRIBUTORS: Sharena Abdullah, Amanda Bell, Daragh Bradish, Paul Bregazzi, Arthur Broomfield, Lica B. Browne, Martina Carroll, Ruairi Conneelly, Catherine Ann Cullen, Maurice Devitt, Michael Dineen, Padraig Hanratty, Shelley Harder, Richard W. Halperin, Shane Holohan, Freddie Trevaskis Hoskin, Roger Hudson, Alicia Byrne Keane, Paul Nash, Marianne O'Reilly, Jen O’Shea, Robyn Rowland, Roman Rye, and Sean Smith. 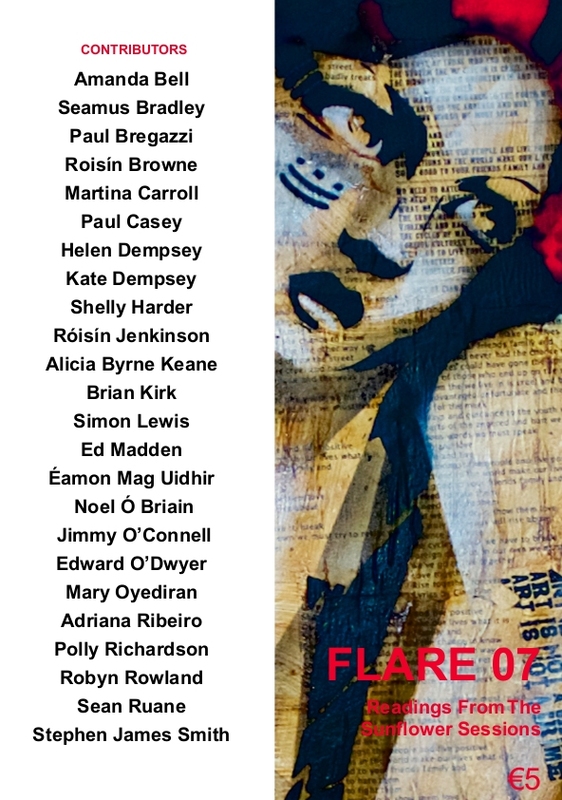 CONTRIBUTORS: Sharena Abdullah, Amanda Bell, Paul Bregazzi, Arthur Broomfield, Roisin Browne, Rob Buchanan, Anamaria Crowe Serrano, Michael Dineen, Shelley Harder, Richard W. Halperin, Roger Hudson, Jim Hyde, Alicia Byrne Keane, Eithne Lannon, Mark Madden, Orla Martin, Paul Nash, Padhraig Nolan, Jen O’Shea, Roman Rye, Victoria Sargent, Kasey Shelley, and Sean Smith. COVER SOURCE: Mural by C215 (Christian Guémy). 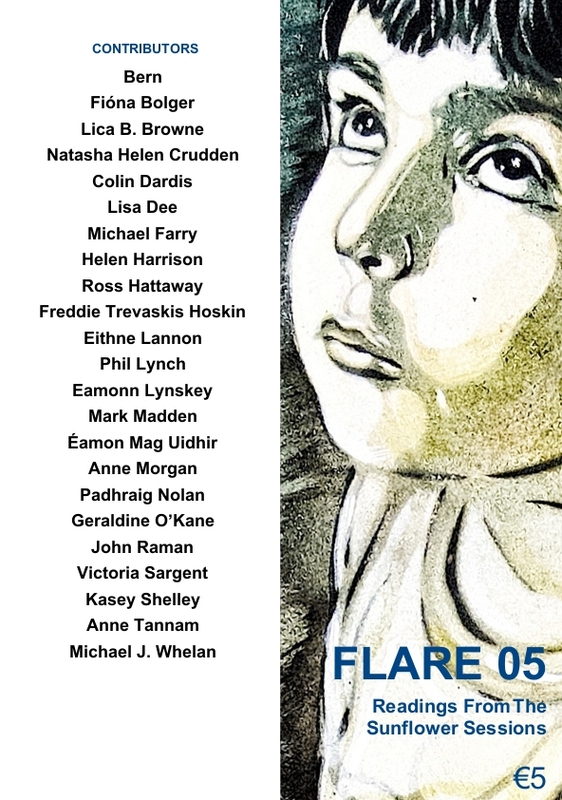 CONTRIBUTORS: BeRn, Fíona Bolger, Lica B. Browne, Natasha Helen Crudden, Colin Dardis, Lisa Dee, Michael Farry, Helen Harrison, Ross Hattaway, Freddie Trevaskis Hoskin, Eithne Lannon, Phil Lynch, Eamonn Lynskey, Mark Madden, Éamon Mag Uidhir, Anne Morgan, Padhraig Nolan, Geraldine O'Kane, John Raman, Victoria Sargent, Kasey Shelley, Anne Tannam, and Michael J. Whelan. COVER SOURCE: Mural by C215 (Christian Guémy). . 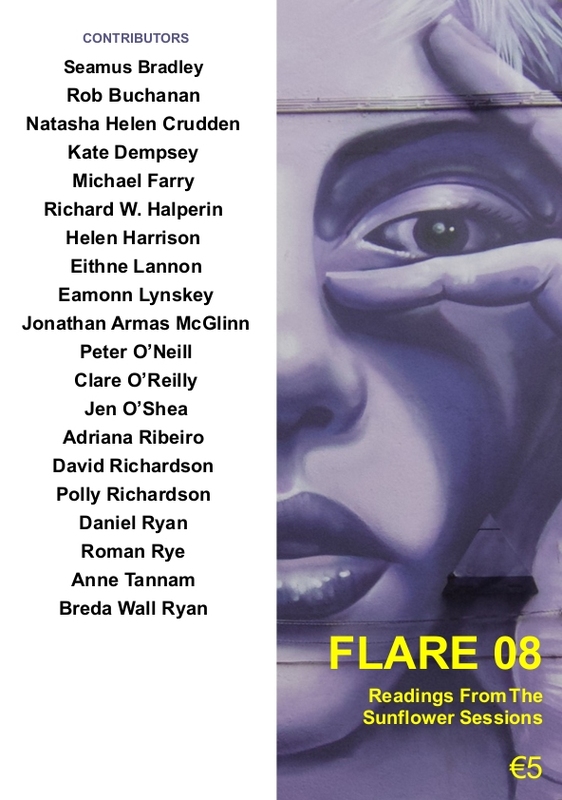 CONTRIBUTORS: BeRn, Fíona Bolger, Daragh Bradish, Alvy Carragher, Catherine Ann Cullen, Lisa Dee, Helen Dempsey, Maurice Devitt, Alice Kinsella, Brian Kirk, Simon Lewis, Ed Madden, Iggy McGovern, Liz McSkeane, Anne Morgan, Jean O'Brien, Edward O'Dwyer, Janica Ribeiro, David Richardson, Bob Shakeshaft, Daniel Wade, and Michael J. Whelan. COVER SOURCE: Mural by Iljin (Pawel Iljin). 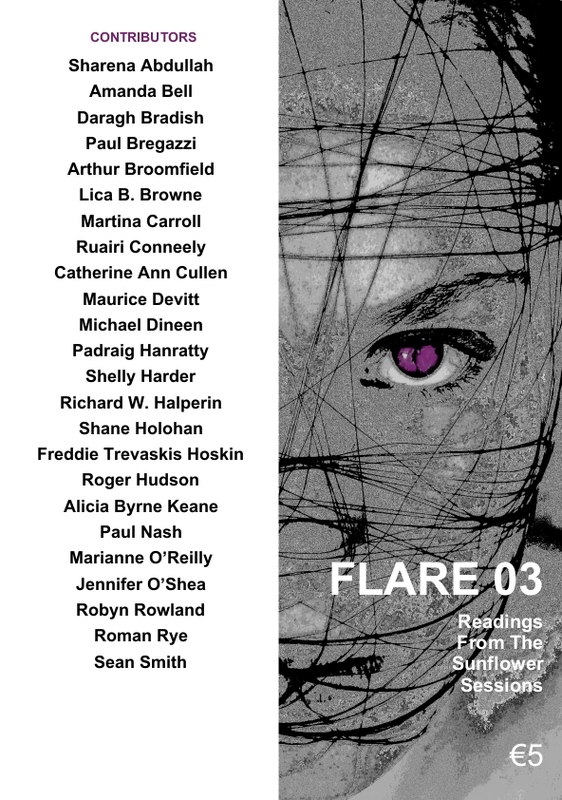 CONTRIBUTORS: Amanda Bell, Seamus Bradley, Paul Bregazzi, Roisin Browne, Martina Carroll, Paul Casey, Helen Dempsey, Kate Dempsey, Shelly Harder, Róisín Jenkinson, Alicia Byrne Keane, Brian Kirk, Simon Lewis, Ed Madden, Éamon Mag Uidhir, Noel Ó Briain, Jimmy O'Connell, Edward O'Dwyer, Mary Oyediran, Adriana Ribeiro, Polly Richardson, Robyn Rowland, Sean Ruane, Stephen James Smith. COVER SOURCE: Mural by KinMx (Katherina Rupit). 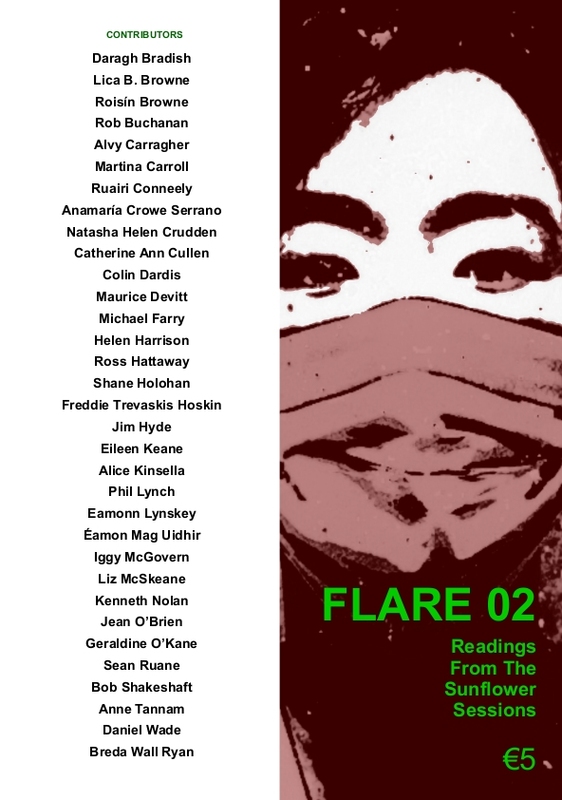 CONTRIBUTORS: Seamus Bradley, Rob Buchanan, Natasha Helen Crudden, Kate Dempsey, Michael Farry, Richard W. Halperin, Helen Harrison, Eithne Lannon, Eamonn Lynskey, Jonathan Armas McGlinn, Peter O'Neill, Clare O'Reilly, Jen O'Shea, Adriana Ribeiro, Polly Richardson, Daniel Ryan, Roman Rye, Anne Tannam, and Breda Wall Ryan. COVER SOURCE: Mural by DMC (Dermot McConaghy).